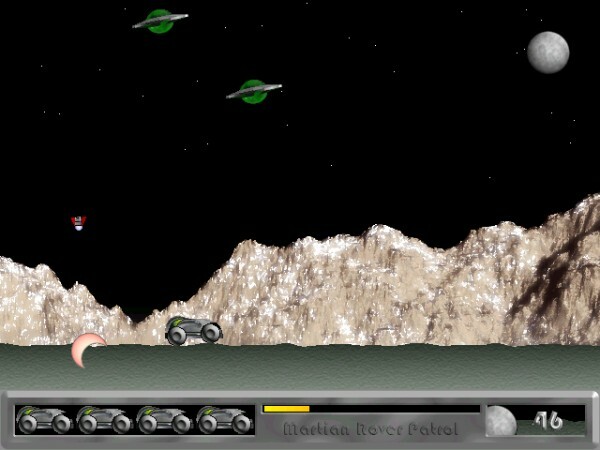 Martian Rover Patrol was one of the first games I wrote for Windows computers in the year 2000. It's still going strong! Guide your moon buggy across the landscape, making it jump craters and shoot objects and aliens as you race to deliver your vital package. This game isn't for sale at the moment, but if there is demand I will refurbish it for the modern age.